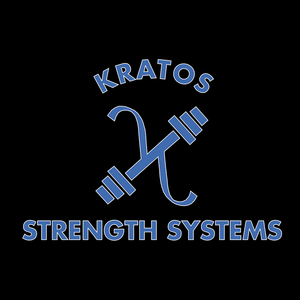 Kratos Strength Systems is the first gym of its kind in the north shore. Our philosophy is based around the Starting Strength method. Kratos welcomes people of all ages and athletic abilities because it is our belief that everyone needs strength. Kratos is owned and operated by Bill and Spencer who are both certified Starting Strength coaches. All of the coaches at Kratos use barbells as the main focus of building strength. We do so by using full body, compound movements such as the squat, deadlift, and press. These movements allows us to train the body the way it was designed to be used. We use a teaching method that has proven time and time again to work with every person we train. It also allows us to do so safely and effectively. Physical weakness can contribute to a great number of problems, but it can be prevented. Through barbell training we can increase quality of life, help slow the process of aging, and build a stronger You!